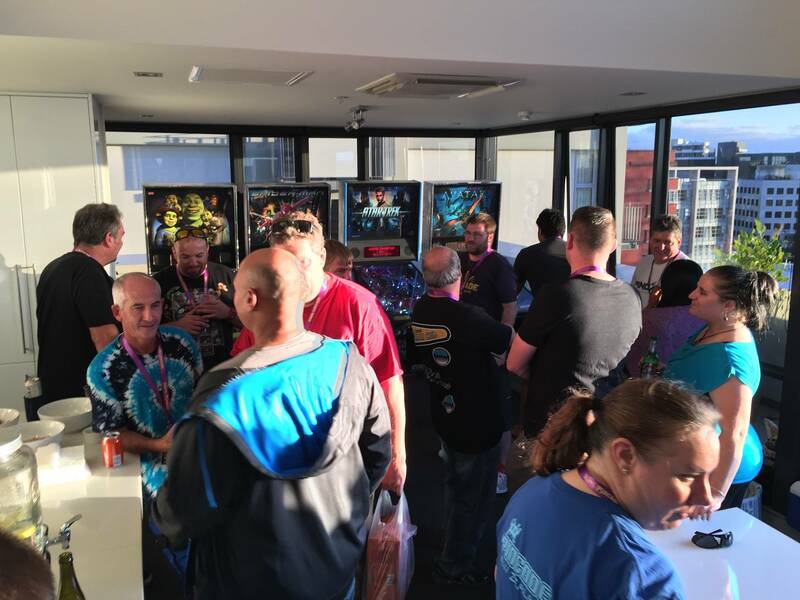 » Forum » Events & locations » Events » Kiwi Pincade 2018 - One of the worlds greatest Pinball events! 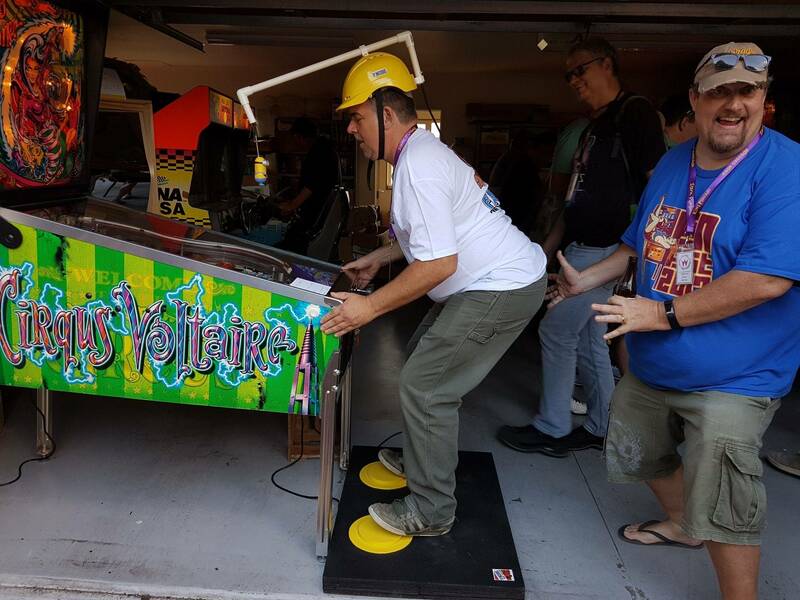 » Kiwi Pincade 2018 - One of the worlds greatest Pinball events! 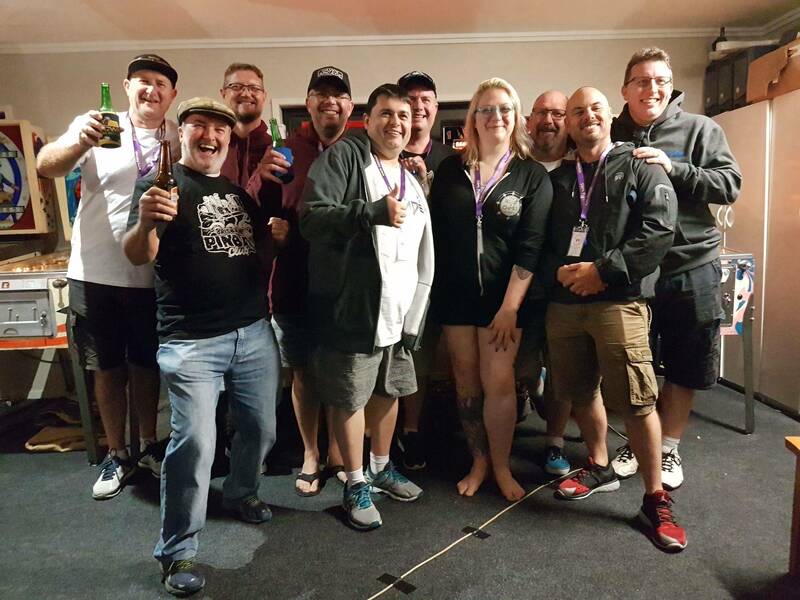 Kiwi Pincade 2018 - One of the worlds greatest Pinball events! The schedule has been set for Kiwi Pincade 2018!! 1. Starts in Wellington, Thursday 8th March 2018 1pm at a commercial location where festivities and a tournament (Wellington Pincade IFPA 3 strike competition) will be held beginning in the early evening. Location TBA but probably the Moon Bar. 3. 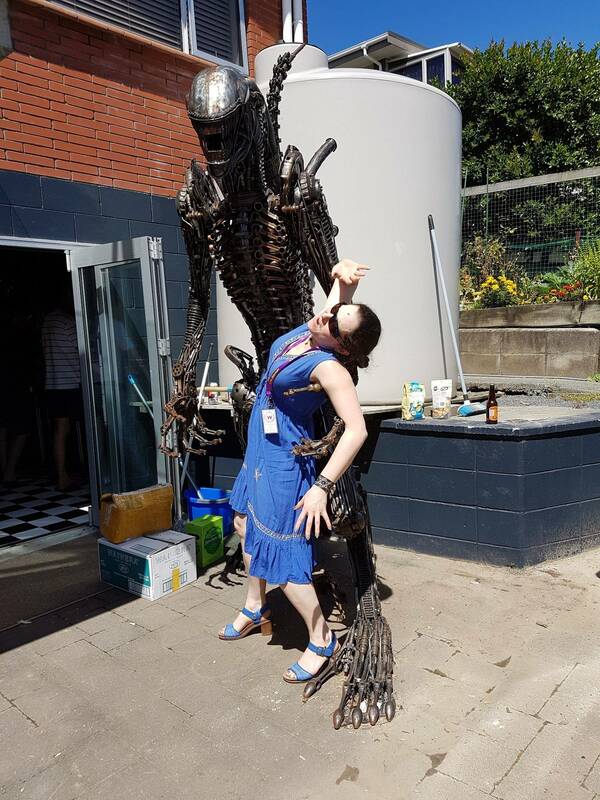 Friday 1-3pm: Fly to Auckland (about one hour's flight time) followed by one or two people's gamesroom that afternoon/night. 4. 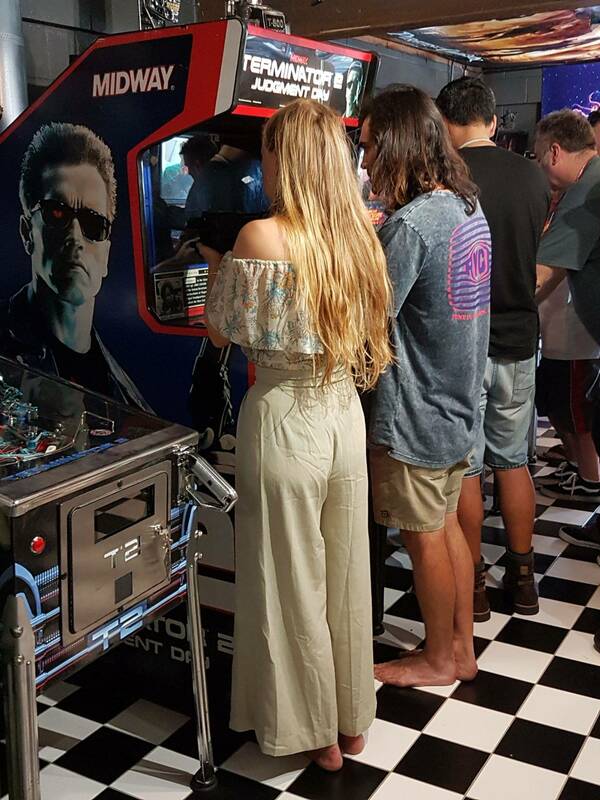 Saturday 10 March from 9am: Breakfast at the first gamesroom, followed by two or three other gamesrooms around Auckland. 5. 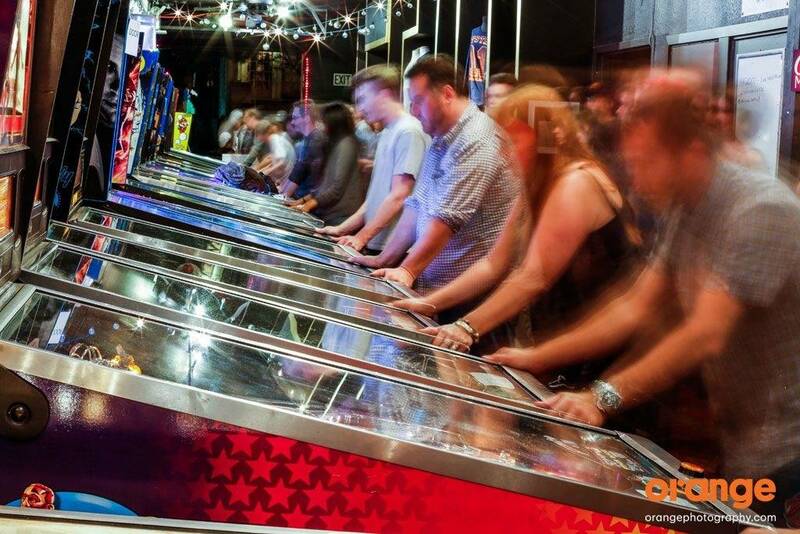 Sunday 11 March from 9am: all day at the RD arcade in Pukekohe where two huge tournaments will be held. 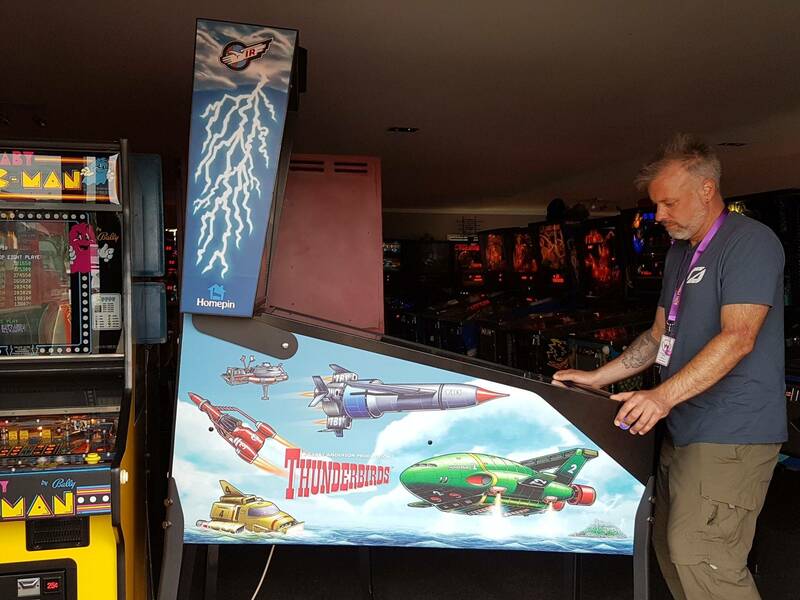 These are the Pincade Classics and the 3rd System 11 World Championships. We expect around 100 participants for each tournament so there will be lots of IFPA points if you play well. Both tournaments will be run concurrently with set playoff times for each. There will be a charge to attend like last year. Bronze, Silver and Gold. This helps pay for venue costs, trophies, lanyards and name tags etc. We haven't finalized prices but to give you an idea, it will be around $60 to attend the entire weekend. Pincade T shirts, hoodies, raffle tickets will be extra. Some breakfasts will be included in your $60. Crazy bargain time. 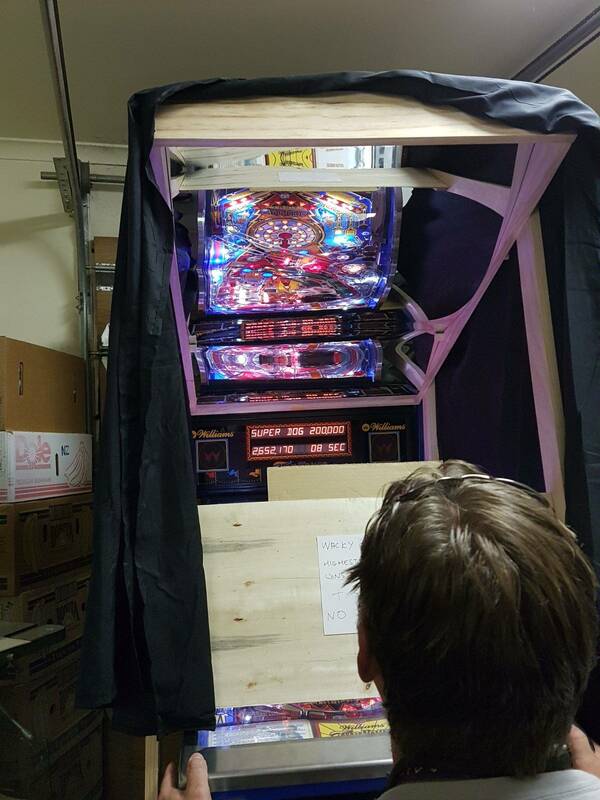 Yee will raffle off a restored Judge Dredd pinball machine on Saturday night. This will be limited to 100 tickets. Ticket price will be $50 each. If the lucky owner doesn't want it, it will be followed by an auction. 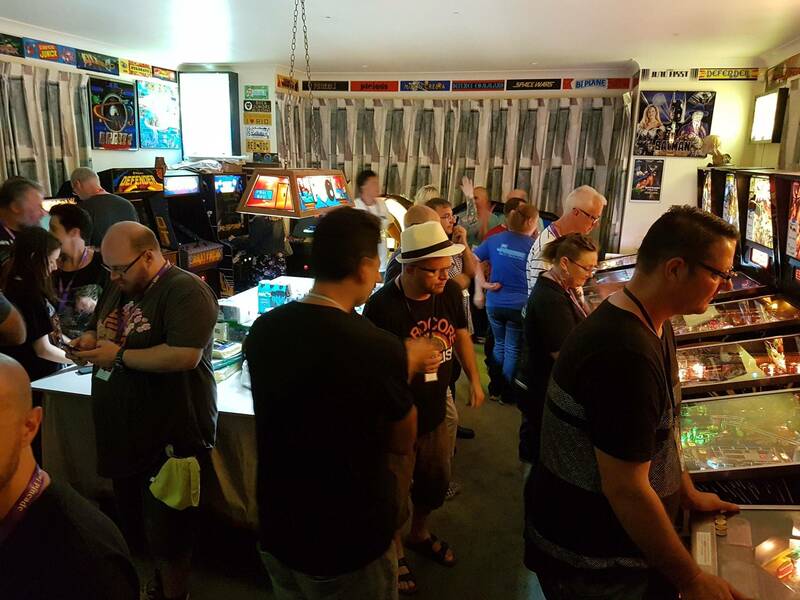 Pincade 2017 was a record year with 160 attendees including 34 from overseas. Come join the fun!! If anyone has any questions, fire them up on this tread and I'll answer them for you. wont be this year, but maybe 2019. Is this always early march? I'm hoping I can pull this off. I so badly want to get there for this. Trying to make this happen for my wife and I, the flight to Auckland, is that set up by the event or do we make our own arrangements? You make your own bookings for the flights. You can fly Air New Zealand or Jetstar, if you book online well in advance it only costs around $39-49 each (nzd). Usually the flights leave 2-230pm. Fly fishing in Taupo for you! 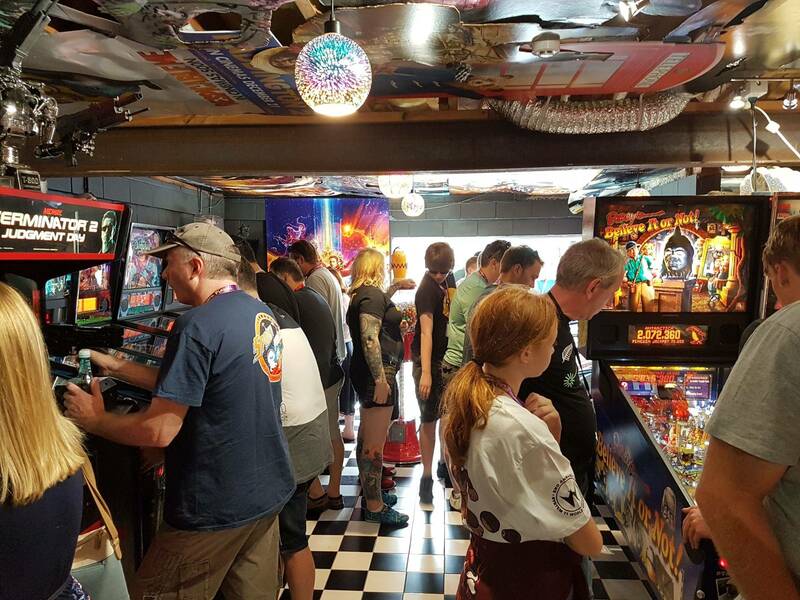 As a previous Pincade 8 attendee, I can say with confidence (and as an American, lol) that it is one of the best international pinball events you can ever hope to travel to. Beautiful NZ scenery to be had during your stay whilst traveling to each venue. RD's collection ALONE is a must visit. Air NZ is probably the best airline ever. If anyone in the states is "on the fence" attending such an event like this, just let me know and I'd be happy to push you off of said fence with tales of adventure...or Ad Jonker slideshows. 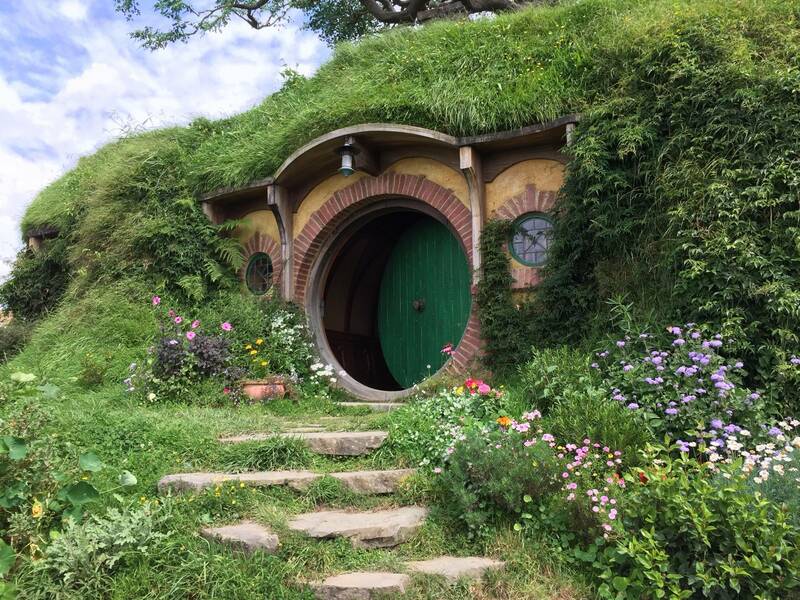 I remember when we were there, a Hobbit came right out!! What prices are you quoting in? Dollarydoos? USD? Kiwi bucks? 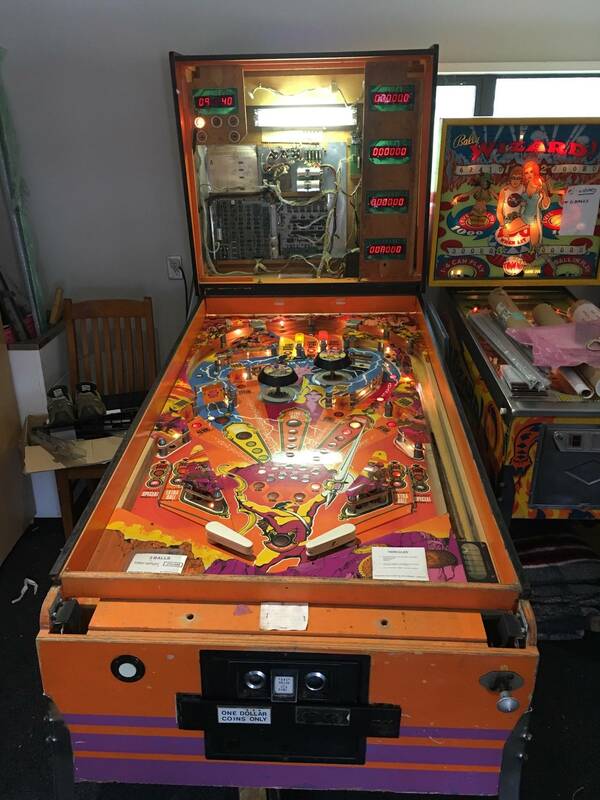 I'll be coming along for my third Pincade! Can't wait, and I've got a friend coming over with me for his first too. Found a flight plan that would include the flight between the cities. Now figuring out some other activities while there. Planning some rafting, diving, hiking, and my wife wants the Hobbit tour. Looking to be there at least 10 days. Fly that far, make it worth the flight time. Looking to be there at least 10 days. Fly that far, make it worth the flight time. Same as us when we visit Europe/USA ... its a long way to fly, so make the most of it while you're there. Lots of activities all over the country. Good time of the year for those outdoor pursuits. 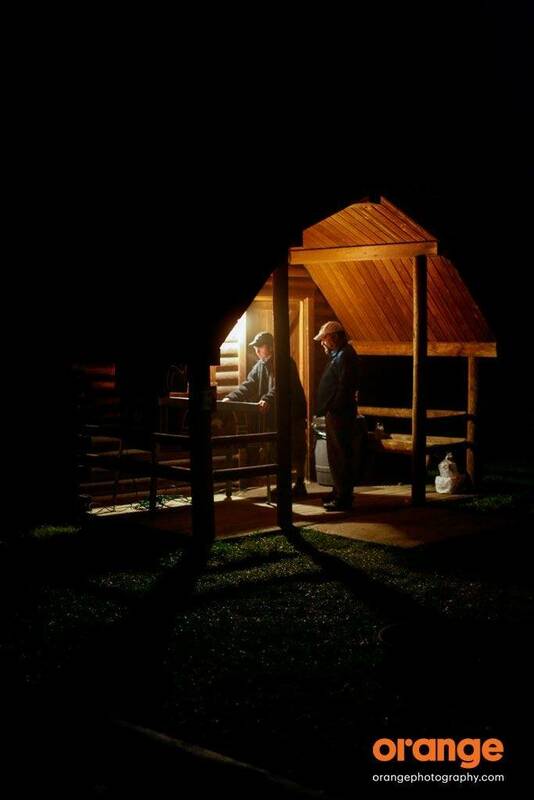 Good stable weather. 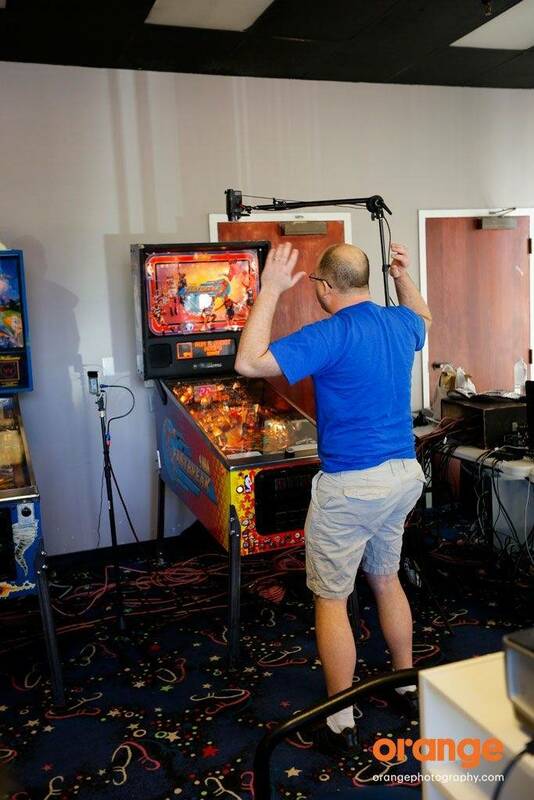 Thanks to Head2Head podcast for the Pincade shoutout! Just to clarify, Pincade is very much Yee's baby, but we all pitch in to help out. This looks amazing.....how have I missed the previous ones, all in my own back yard too! 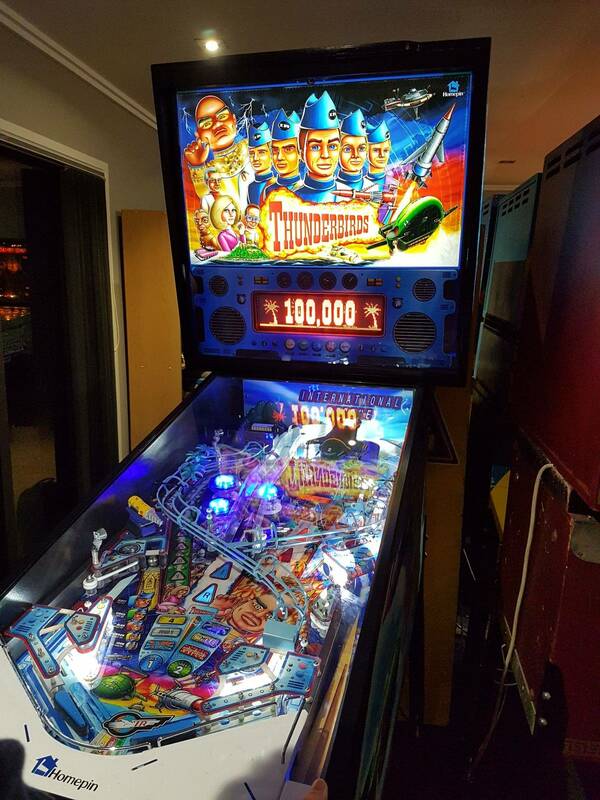 You know there are regular pinball meets in Wellington? So what's the weather like in March in NZ? I was planning on heading somewhere with a beach in March, but that'd be end of summer for NZ, correct? The last few years, Feb/March are the nicest months of the year, weatherwise. Lots of nice white sand beaches down the east coast of the North Island. Thanks Rotodave, I've connected with a few peeps down here over the last month - so all over the local scene now. One of my favourite beaches. About a hour out of Auckland city worth the drive spend the day exploring that part of auckland. Also Leigh marine reserve in the same area you can see the fish from the rocks. snorkel if you want. 1/ Thursday Night- 3 strike Comp at Moon Bar in Wellington. Those who attended 3 years ago will know how great that was. 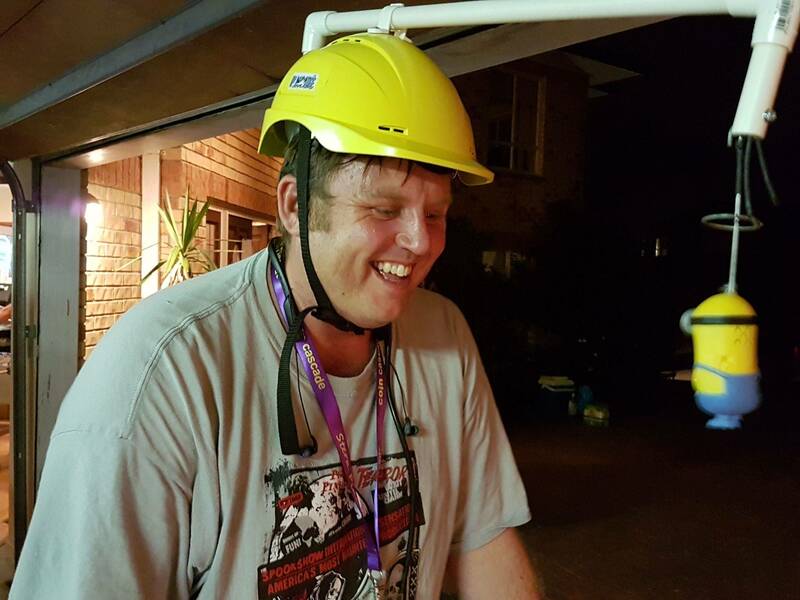 2/ Saturday night - fun Comp at Yees place. Format to be decided, no points, just a fun time. 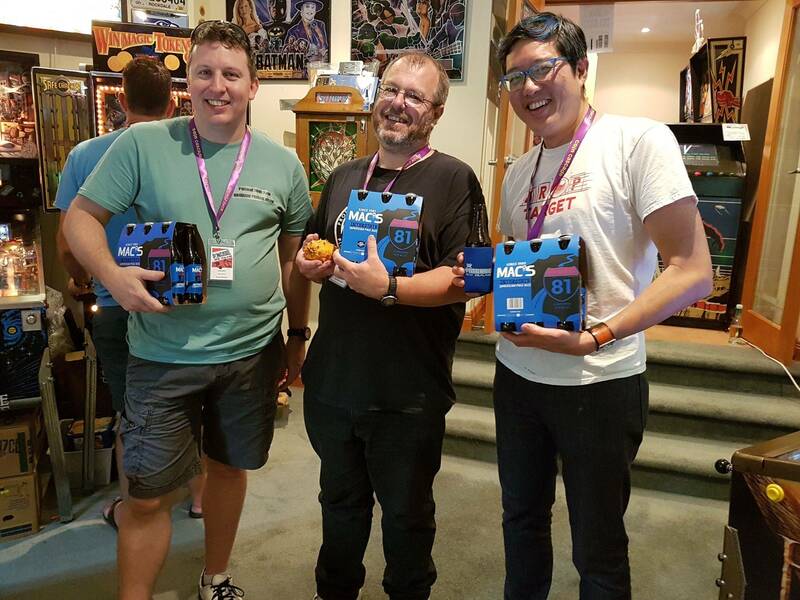 3/ Sunday - System 11 World Champs #3. Play one game on each of 10 classic Sys11 games. Top 32 go into playoffs. 4/ Sunday - Pincade Classics #2. Play one game on each of 8 classic EM and SS titles. Top 32 go into playoffs. 5/ We will also run a Woman's Comp on Sunday - this will be NZs first Woman's Comp! Danni will help me run this Comp. This Comp will earn "Woman's whoppers"
Whoppers ahoy! Whoppers for alllllll! Well, that's toast. Hope u are doing 2019! My wife has to switch jobs, so with a probable break in her income, and no guarantee she will be able to get the time, looks like I'm out . Will try again for '19, already picked out a lot of extra things to do in NZ too. Hope your show in '18 goes amazing! Pincade related - sort of. 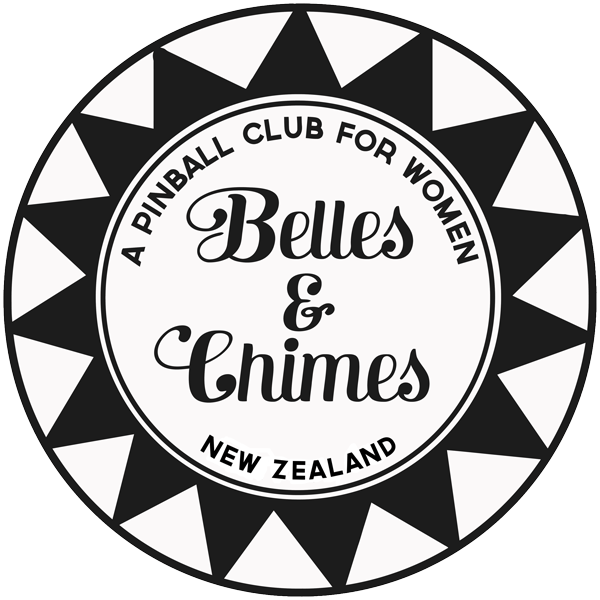 danni_nz has started up Belles and Chimes in NZ ... the first chapter outside of the USA! 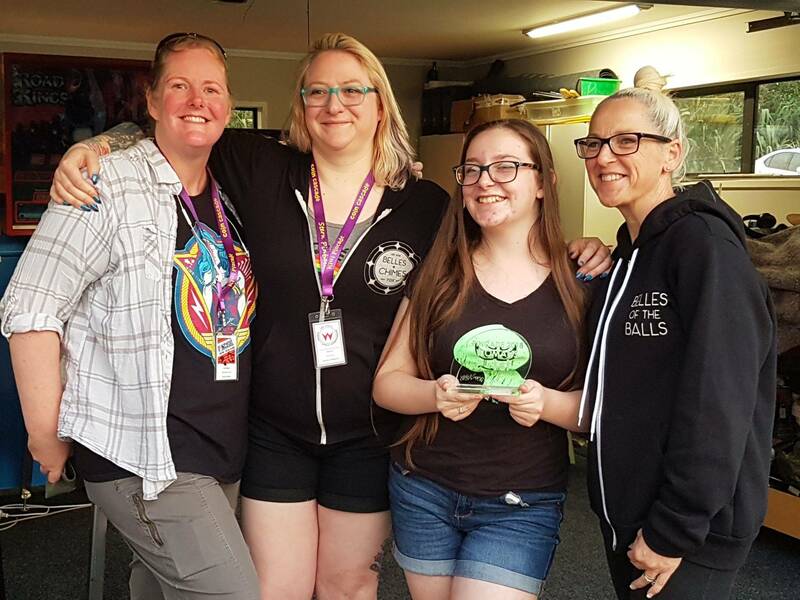 While we may not have time for an Offical Belles and Chimes Comp during Pincade, the Belles will certainly be getting together! Is it possible to check out the Wellington event only? Im such a newbe and not any good any games yet, but wouldn't mind just checking it out. Message rocky2 here and he’ll get you some tickets sorted. 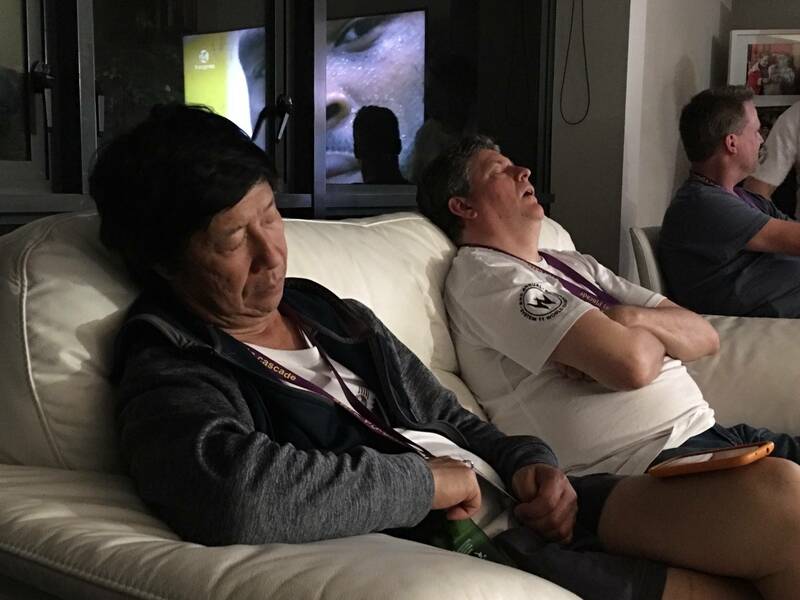 Are the competitions now confirmed? Any reason why no points at Yee's? Yees is just a fun event. 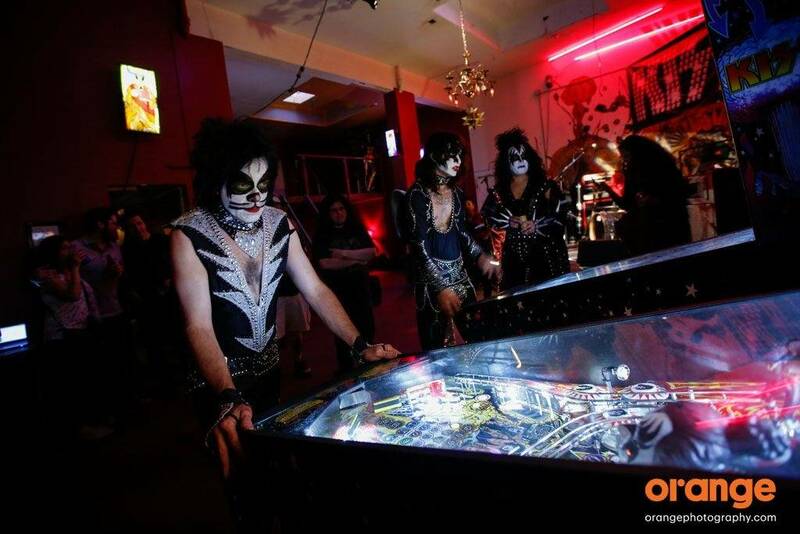 There are going to be some “pinball Olympics” style games there. There are 4 other huge comps over the 4 days so plenty of opportunities for Whoppers. you should do ifpa tournament at your Apartment on friday night in city? We will see what schedule Yeeeeee comes up with. The Apartment was good this Pincade, even though 90 people and 15 pins were a lot in an apartment. Not long to go now ...11 weeks! Time to step up and book your flights. Jessica twazu is coming down from Portland for both Wellington and Auckland legs. Flights have been secured, wallet is bleeding, and I'm beyond excited to make the journey! I'm sticking around most of the week following the tourney, so send me all of the weird/wonderful (not-so-touristy) things to see/do! Good to have you on board, Gene! Maybe post up a couple of your photos up here, to show the kiwis what you can do. I dunno about any of you, but i'm already super excited about this. I even just decided to renew my passport several months early to make sure some stupid work travel scheduling doesn't get in the way. Good times. I was wondering last night if you were coming over. Re Wellington flights, I haven’t booked them yet but generally we are leaving around the 2pm mark. 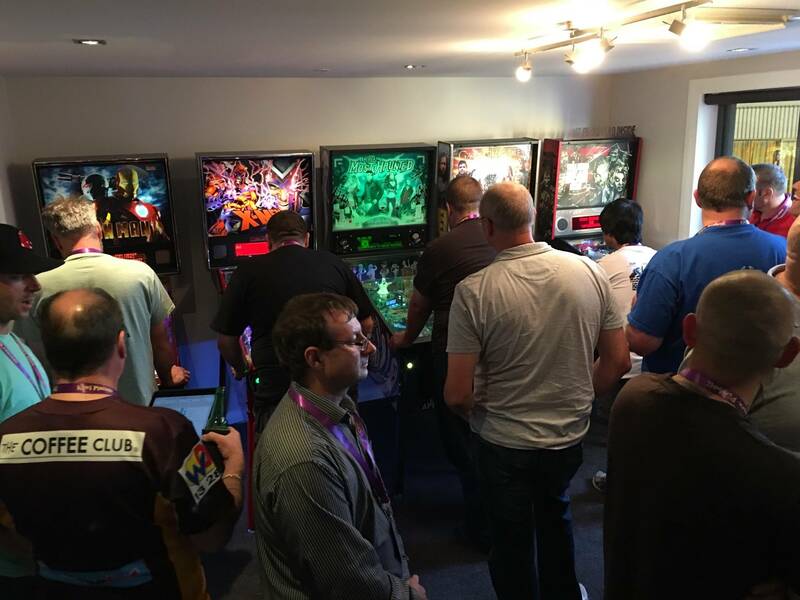 Pincade’s main aim is for a friendly, sociable gaming event on a cost neutral basis. All prices are the same as last year. Clothing quality is very good, I've had several people mention that to me so the same brand will be used. Bronze package $A30 per adult or $A45 per household. Entry one day only. includes lanyard, name tag, entry for any comps on that day. Any food provided on that day (venue dependent). Silver package $A60 per adult or $A90 per household. Multiple day entry pass, includes lanyard, name tag, entry for any comps on any day you attend. Any food provided on those days (venue dependent). Gold package $A110 incorporates silver package plus Pincade merchandise [Pincade T shirt, coffee mug, beer mug and 2 stubby coolers]. Platinum package $A200 includes gold package plus polo shirt and hoodie. 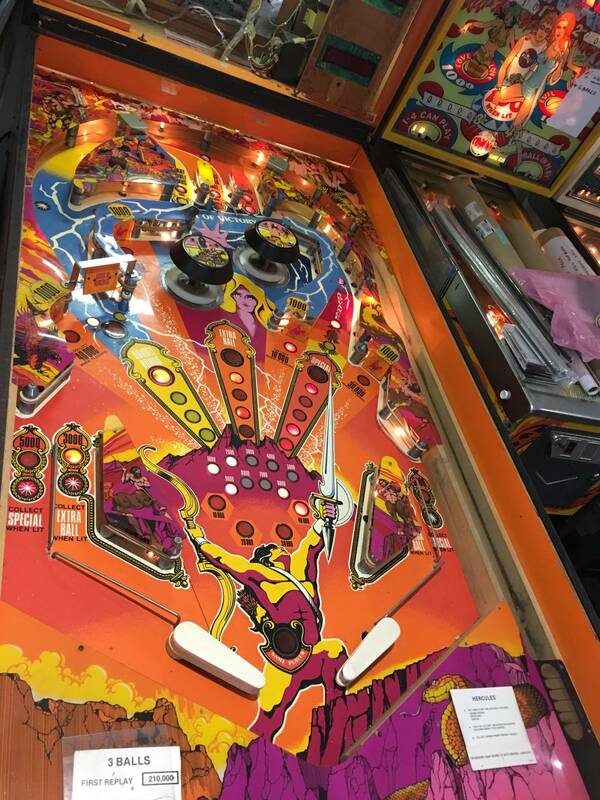 Diamond package $A300 includes the Platinum package plus 2 tickets for the Judge Dredd pinball raffle. Payment can be either Paypal as a gift in $A. Or $NZ cash on arrival. 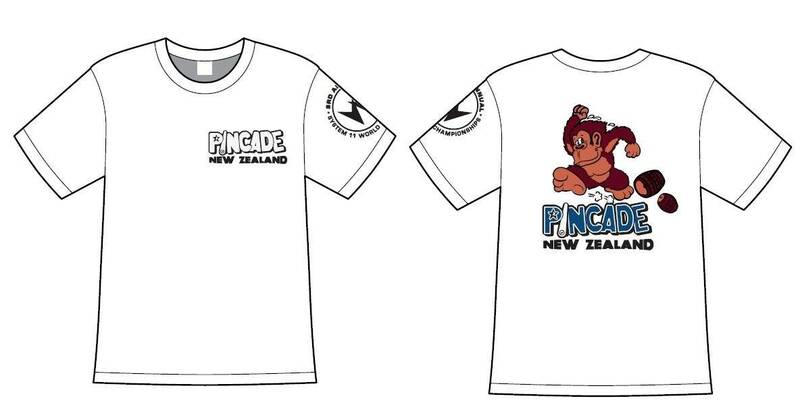 Extra Pincade items available: coffee mug $10, beer mug $10, stubby coolers $5, single coloured T shirts from previous years (grey, blue or black) $20, 10th anniversary T shirt $30, polo shirt $30, hoodie $60. You must pre-order any extras. If you are hosting this weekend you get a free Gold package. 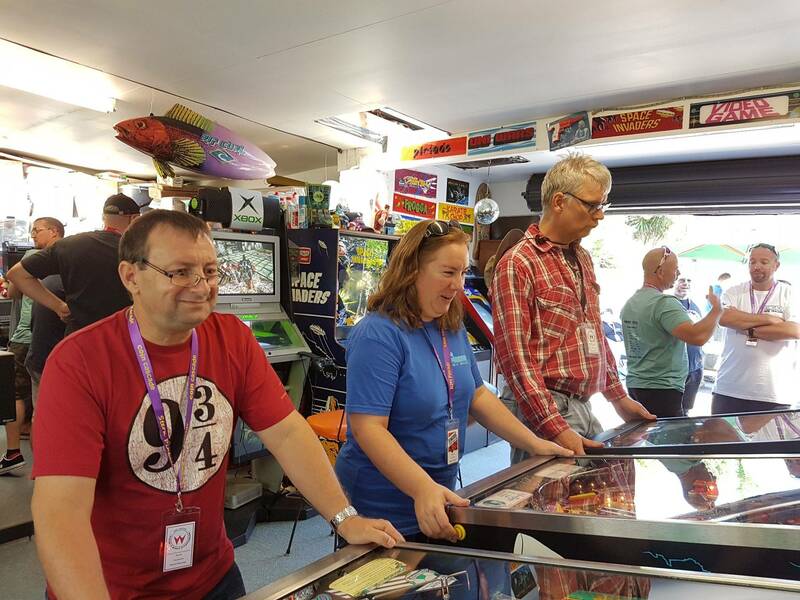 If you have hosted Pincade twice previously (whether in Auckland, Wellington or Christchurch), you have a free Silver package. 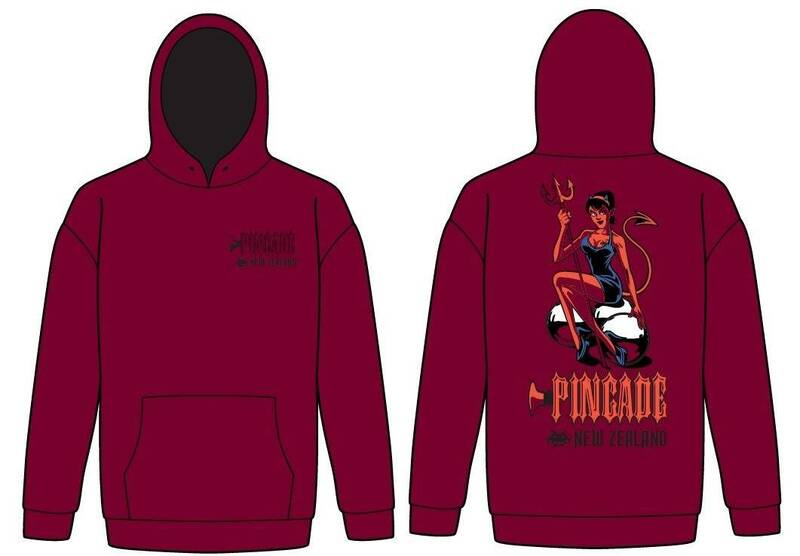 The 12th Feb 2018 is the cut off date for ordering your Pincade clothing. Any payments after this date also incur an additional $20 late fee. 2: Friday from 5pm, The RD Apartment: Total Nuclear Annihilation Launch Party. Everyone gets two games to qualify for the top 16 finals. 3: Saturday from 5pm: fun Comp at Yees. No points. 4: Sunday 9am, Pukekohe: System 11 World Champs. Everyone gets one game on 10 Classic Sys11 Games. Top 32 make playoffs. 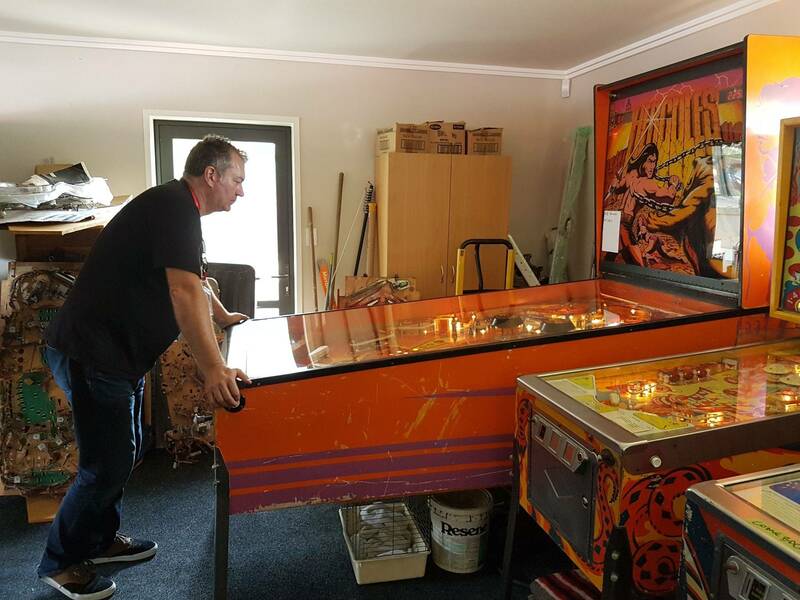 5: Sunday 9am, Pukekohe: Pincade Classics. Everyone gets one game on 8 Classic titles. Top 32 make playoffs. 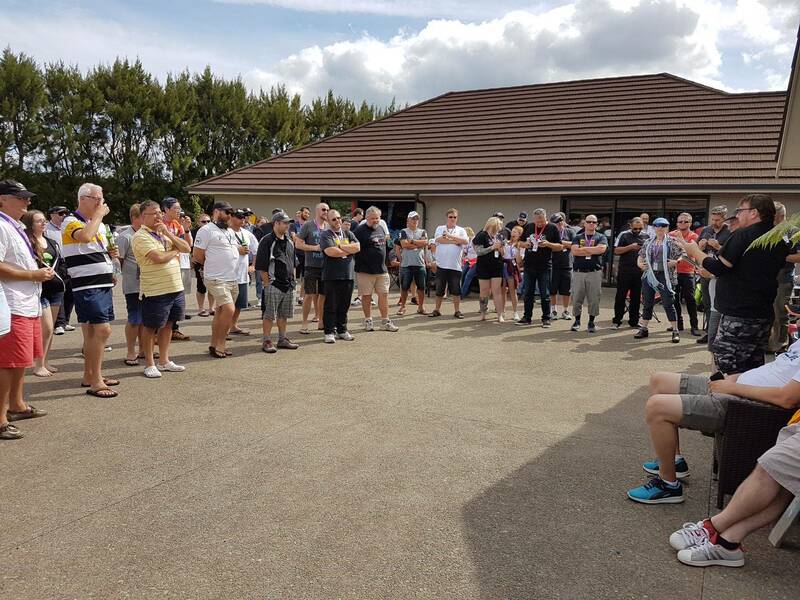 6: Sunday, Pukekohe: Pincade Woman’s Comp. Top 8 woman from Sys11 qualifying make finals. We will be looking for some scorers for the Sunday comps. 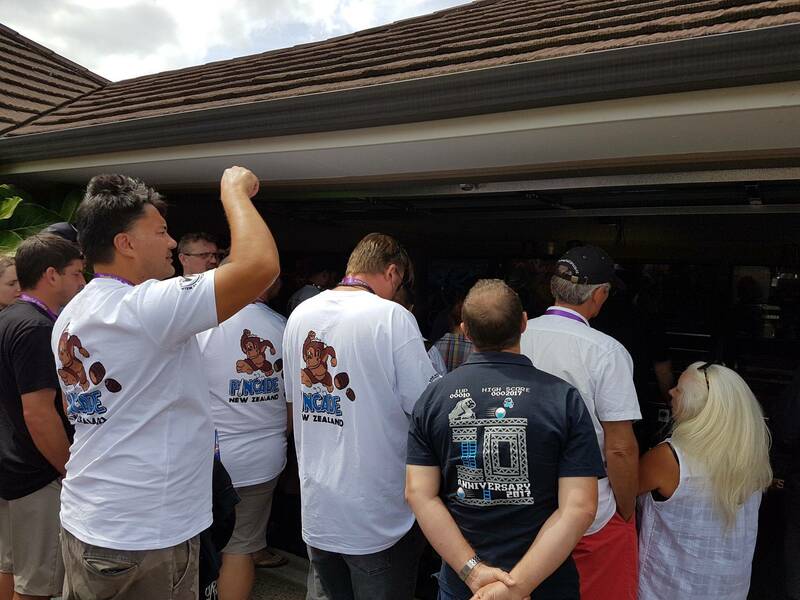 Glad to see some people from usa and canada coming. As I might told already, my company requires me full time this year, she walked for a while then now she runs very slowly (private joke inside). I am already thinking about 2019... but I never promise. Congrats to Yee and Rd for hosting this wonderful event. Especially when you drink all my gin! I must admit that if a gin bottle is in the area I will find it and sometimes... perhaps.... drink it ! Look what I got working, just for you to play at Pincade.